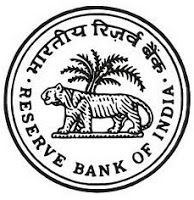 RBI Final Result 2017 | Officers in Grade B (DR) (GEN), (DEPR) and (DSIM) PY-2017: Reserve Bank of India (RBI) has published the final list of selected candidates for the post of Officers in Grade B (DR) (GEN), (DEPR) and (DSIM) PY-2017. The Phase-I (Prelims) exam was held on 17th June and Phase-II i.e Mains on 07th July 2017 followed by Personal Interview. More information please read below mention details carefully.